YOGABODY® Stretch (Fleximine) has been added successfully to your wishlist. 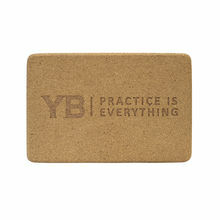 I have been using this product to help my back bending practice. I take three capsules in the morning and repeat another three one hour before practice. My flexibility seemed to be effortless after just two or three days, since I first started using it. It has now been a year already, and I give YOGABODY a lot of the credit for my fast progress. I recently started taking YOGABODY, and I began with 2 tablets every day. In just one week I could touch the ground with my fingers, whereas before I could only reach my ankles. 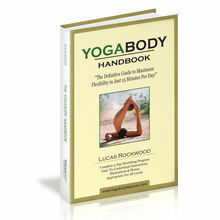 My husband was so impressed that he stated taking YOGABODY too. I’m now in my second week and am taking 3 tablets. In the last 2 days I noticed that all the stiffness upon waking up has gone. I have finally found something that really works! Thanks YOGABODY! I have used this product every day for at least a month now and I am hooked. I started out with some serious flexibility issues and overall fatigue due to my crazy dance schedule and teaching. By day 3 I was ready to go and my muscles have never been the same again. My hamstrings are healing rapidly and I am able to warm up much quicker and give my all 120%. It’s so good that I recommend my dance students and fitness clientele to take it as their supplement. In fact, it’s the only pill aside from a multivitamin that I take every day consistently without forgetting about it. I have been taking yoga body stretch for several months now, at about half the recommended dose. I have also been making changes to my diet, so it's hard to know what is causing effects that I feel in my body. However, I do feel that my body is less stiff and sore in the morning, and I feel a little more resilient overall. My hamstrings have always been very tight and prone to minor injury, and this has lessened. My back bends also feel better than they every have. Hi Lucas, thanks for helping the planet. All of your products are good and do what they are intended to do. My staple is Yogabody Stretch. Of all your products, your passion and education are tops. I have listened to most of your talk shows and videos. You and your team are what make the difference. Improved flexibility with the stretch program. I've only started taking your supplements for two weeks but am already noticing improvements in my injuries! Also my feet feel way better wearing the awesome toes! Noticed a big difference with inflammation, joint pain and even increased energy. I am seeing improved performance with my yoga practice. I probably need to do more long hold postures to further increase my flexibility, but the Flexamins is helping for sure. I recently had blood work done and my B-12 was pretty good, so I don't know if I am seeing the full effects of the supplement. I am just now starting to use your products. I have been a long time listener to your podcast and absolutely love it and all of the great information you put out. Thank you for all you do.